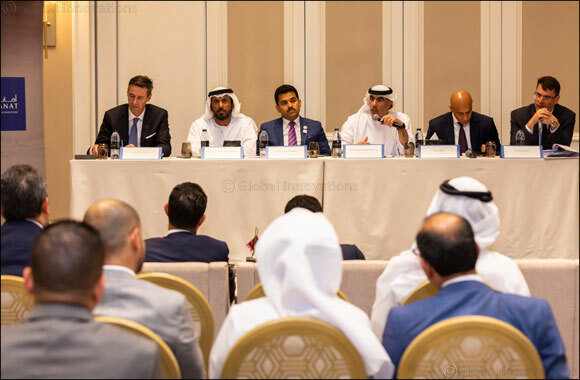 Dubai, UAE, March 25, 2019: Amanat Holdings PJSC (“Amanat”), the GCC’s largest healthcare and education investment company, today announced that it has concluded its annual general meeting (“General Meeting”) on March 24, 2018. The Board report for the Company’s activities and financial position, balance sheet and the profit and loss account for the fiscal year ending 31 December 2018 were approved. The General Meeting approved a cash dividend distribution of 1.50% of the nominal value for each share (1.5 fils per one share). This implies a total payout of AED 37.5 million for the year 2018, as Amanat continues to distribute dividends to its shareholders since inception and for the fourth year in a row. Additionally, the General Assembly Meeting approved the board’s decision to execute a 10% buyback of Amanat’s issued share capital, in a step reflecting the board’s confidence in the company’s future prospects, and its strong support for the shares’ value. This approval is subject to regulatory approvals. Dr. Shamsheer Vayalil, Vice Chairman and Managing Director of Amanat, added: “We have successfully realized the goals we set for 2018. These achievements are clearly reflected in numbers with over AED 1.2 billion deployed during 2018. Going forward, we intend to drive operational improvement at our portfolio companies, explore add-on acquisitions to strengthen Amanat’s platforms and raise debt for further investments. We have solid fundamentals to continue our investment in healthcare and education in the GCC and beyond, to strengthen our position as the largest investment company in the GCC and become the global investment partner of choice in healthcare and education'.